Call an Iberostar Resort Specialist Today! Iberostar's Wedding Department will provide all of the necessary arrangements to make your Iberostar destination wedding wonderful. If you choose to reaffirm your love by renewing your marriage vows, Iberostar can also accommodate your wishes with a lovely 'blessing' ceremony at one of our beautiful resorts. 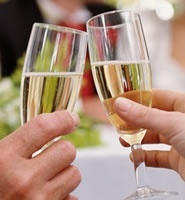 We also have many resorts that offer FREE WEDDINGS! Check out some of the FREE DESTINATION WEDDINGS available.